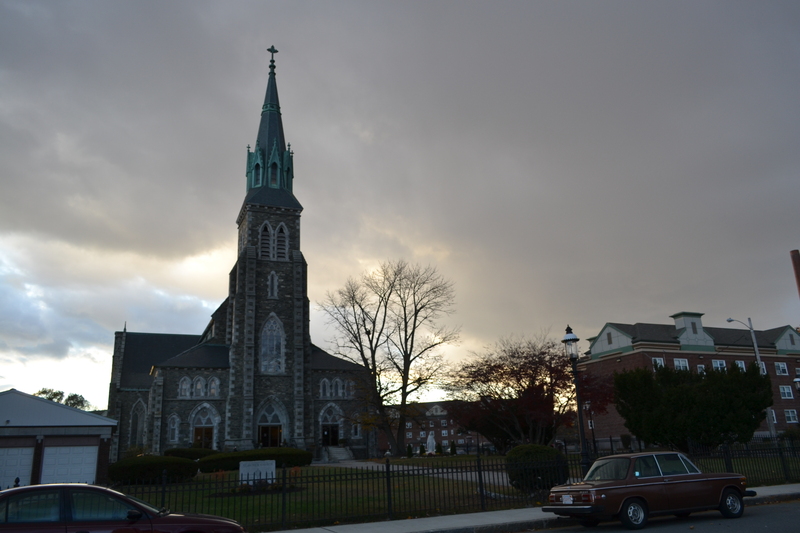 Immigrants in Lowell: Responsibility, Cost, or Something More? 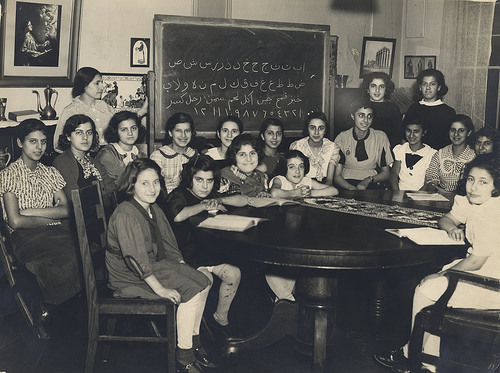 As the stories in the rediscovered International Institute archives highlight, immigration and refugees have been an integral part of the Lowell story since its founding. People from other countries built Lowell, labored in its factories, and created the diverse institutions we enjoy today. Nevertheless, the question of costs of providing services is valid. This is the first in a series of posts exploring immigrants and refugees in Lowell. Richardhowe.com transcribed his complete remarks here. The concern grew out of Governor Deval Patrick’s offer to shelter unaccompanied minors who crossed the US-Mexico border, but Councilor Belanger mentioned resettled refugee families from the Congo in the same breath. The off-the-cuff remarks may be a symptom of a genuine confusion about the differences between immigrants, refugees, and other populations. Although there ultimately was no need to shelter children due to falling numbers and increased immigration processing capacity, immigration and refugees remain a central issue in Lowell. Councilor Belanger and Mayor Elliot aren’t alone in worry about the cost of providing education and social services to newcomers. However, is their fear justified? Moreover, are immigrants simply a burden the state places on Lowell, a genuine humanitarian effort the good citizens of Lowell provide, or an investment that pays dividends? We couldn’t let discussion of the costs rest without exploring all sides of the issue, because from my perspective, Lowell’s story is all about generation after generation of newcomers. About 30,000 foreign-born people a year are granted legal permanent residence in Massachusetts, most of who follow one of three paths: Refugees, Asylees, and (for lack of a better term) Economic/Familial Immigrants. Last year, an estimated 415 of these moved to Lowell. Each has a different legal status than one another and the unknown number who have immigrated to the US illegally. Before talking about foreign-born citizens in our community, I wanted to make sure I have my terminology correct! 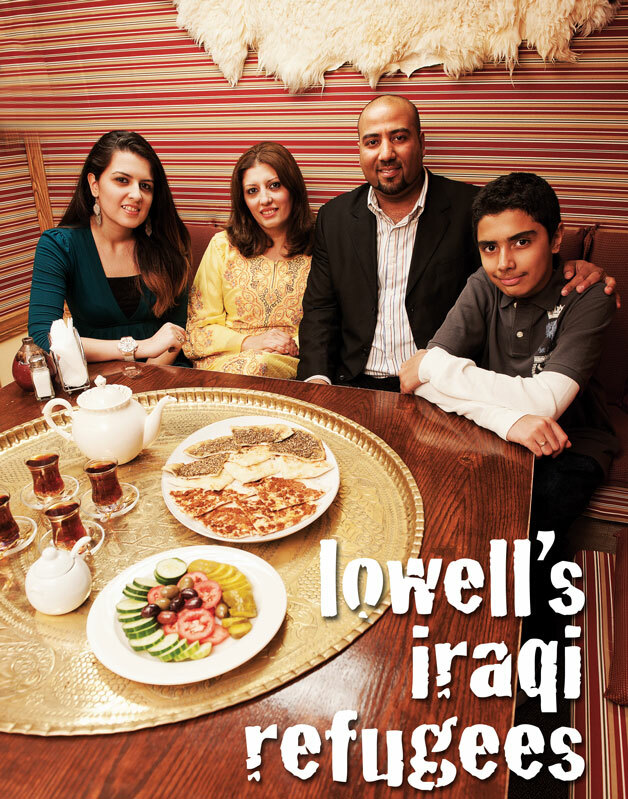 In 2011, Merrimack Valley Magazine highlighted Lowell’s Iraqi refugees. The United Nations High Commission on Refugees (UNHCR) uses a 1951 Geneva Convention definition of refugees: those who have fled their country for fear of racial, religious, ethnic, or political persecution. In some cases, agencies and nations expand the definition to include those fleeing violence or war. The UNHCR grants refugee status to people across the world, but this status does not entitle people to many services beyond access to a refugee camp. Although counted as refugees by UNHCR, they may lack any official status in any specific countries. Before people are officially registered as refugees, they may be more accurately called “asylum seekers.” Each country, including the US, has procedures for determining whether an asylum seeker can be registered as a refugee or granted asylum under their own law. For this reason, I believe it may be more correct to call people fleeing from violence in Central America “asylum seekers” rather than refugees or immigrants. However, the United States uses the 1951 definition and only registers those fleeing persecution or human trafficking as refugees, not those fleeing violence or war. An average of 26,000 people annually crossed the United States border and were granted asylum since 1995, most of whom were from China. However, a larger number of refugees are granted that status in other nations (such as Kenya or Jordan) live there temporarily in an urban area or camp run by an agency such as the UN or Red Cross, then are referred by their host to the United States. The US reviews those referrals, and accepts about 60,000 refugees a year (recently often reaching the limit of 70,000); about 2,400 annually settle in Massachusetts. This is the typical story of the Congolese families Councilor Belanger mentioned, along with many of Lowell’s Cambodians, Burmese, Bhutanese, Iraqis, and many other groups. The UN estimates that 10.4 million refugees currently live in camps, shelters, and urban areas worldwide. An additional 4.8 million live in camps in the Middle East. The UNCHR is only able to resettle about 1% of those 10.4 million annually, while many live in camps for decades. Rather than getting better, this trend is accelerating in recent years due to Syrian, Iraqi, and other conflicts. Notably, the US accepts as many refugees as all other countries put together. Finally, economic and familial immigrants are those who cross borders to reunite with family or for economic opportunity. The United States has granted legal permanent residents to an average of 870,000 immigrants annually since 1995. These economic immigrants usually do not fear persecution like refugees, and the US government generally admits them because they have family in the US or have an identified job or special skills. It is difficult to count those crossing the border illegally, but it is generally accepted that people crossing the border illegally are also usually trying to reunify with family or seeking an escape from crippling poverty. An interesting 2013 study suggested that Mexican border crossers often felt they had a higher moral obligation to provide for their families than to obey US immigration law. Lowell’s Irish, French Canadians, Greeks, Jewish, Polish, Lithuanians, Armenians, and Portuguese populations were largely economic/familial immigrants. It’s important to note that when many of these groups were arriving, immigration was largely unrestricted. Prior to 1875 there was no restrictive immigration bill, and only Asians were restricted prior to 1921. Also of note is that the Spanish-speaking population of Lowell is largely Puerto Rican, US citizens by birth. In summary, asylees cross the US border to ask for asylum and are a relatively small group. Refugees are registered overseas, then a small number are referred to the US. Economic/familial immigrants are by far the largest group, more than eleven times as many legal economic/familial immigrants arrive in Massachusetts than refugees each year. Each of these groups has different legal status and challenges, and each must complete naturalization procedures to become United States citizens. Despite their differences, I’ve learned that the groups bring similar, quantifiable benefits to their host communities despite their differences. *Chart: 2002-2012 average annual refugee count from 2012 Yearbook of Immigration Statistics, population count from 2010 decennial census. The existence of established refugee resettlement programs complicate the issue. A month before Governor Patrick’s announcement, the mayor of Springfield, Massachusetts requested a halt to Somali refugee resettlement in his city, and the mayor of Manchester, New Hampshire, unsuccessfully asked for a moratorium of refugee resettlement in his area in 2011. Those mayors argue their cities cannot absorb additional refugees because of scarce employment opportunities for non-English speakers and tight housing markets. Some argue these politicians are using refugees as scapegoats for deeper problems, while others argue that they are purposefully creating a wedge issue by mixing otherwise liberal voters’ negative sentiment about undocumented immigrants with legally resettled refugees. Ostensibly, however, the Mayors’ arguments echo Senator Donaghue’s: A community has a responsibility to provide adequate housing and education to refugees and these services have a cost. What is that cost? The first costs are immediate: transportation to the US, securing and furnishing housing, assistance with state and federal forms, school registration, and other immediate transition needs. A federal travel loan funds their transportation, while regional nonprofits provide the other services. In Lowell, the International Institute of Lowell provides these services. I found a good estimate of costs by Baltimore’s refugee assistance nonprofit. They estimated the cost for this initial assistance as $5,291 per case in 2009—higher for families, lower for single people. The federal government provides an $1,800 per refugee grant to nonprofits, $1,125 of which goes directly to refugee families to pay for rent, clothing, and other necessities. The rest must be locally raised through private donations, volunteer power, and in-kind donations. Because of their importance, we visited the International Institute, and we’ll talk about them in a future post. The percent of students who are English Language Learners has not dramatically increased, however, the number of students who come to this country with Refugee status with no or limited formal schooling has increased and requires the district to expand Newcomer Programs. These newcomer classes are specifically set up to acculturate students and teach English. According to the Superintendent’s report, the number of “newcomers” in Lowell K-12 increased by 253 students in 2013, or 49%, much higher than the previous four years. About half of these came as federally-resettled refugees, the others were other types of immigrants. Each new Newcomer class costs $135,000: $115,000 for one teacher and one paraprofessional, and $20,000 for setup. In the last two years, the school system added seven of these classes, and three more are approved for next year. However, answering the question requires more than a simple number. Other questions remain: how much more Newcomer classes are per-student than standard classes and what portion does the state already pay? The 2015 city budget plans for nearly 89% of Lowell’s school costs to be reimbursed by the state, even after increasing Lowell’s local contribution from 2014. Although the council did not directly suggest the cost of social assistance to refugees is a concern, I have heard this argument before. Like citizens, refugee families with children are eligible for Temporary Assistance to Needy Families, and refugees with disabilities or senior citizens are eligible for Social Security. Many refugees are also eligible for Medicaid. Because they’re the same programs citizens use, these costs are shared by Massachusetts and the federal government. The US Office of Refugee Resettlement (ORR) funds some programs specifically for refugees. Refugees who are low-income but do not qualify for other programs can take part in a Refugee Cash Assistance and Refugee Medical Assistance programs for eight months. However, these are not permanent costs for most refugees. The ORR’s annual survey found that about 46% of refugees that arrived between 2007-12 received cash assistance and 61% received Medicaid. However, those who had been in the US the longest were less reliant on federal programs. For example, 27% of refugee households arriving in 2007 received Medicaid in 2012, nearly identical to the overall US rate of 26% receiving Medicaid in 2011. A matching grant of $2 for every $1 locally raised by nonprofits such as the International Institute to assist refugees become self-sufficient. Competitive grants for programs that, for example, help survivors of torture or for matching refugees’ investments toward home purchase, small business development, or post-secondary education. Targeted Assistance for areas with large refugee populations: In Massachusetts, this includes Hampden (Springfield), Suffolk (Boston), and Worcester Counties, but not Middlesex. However, the Lowell School District does receive supplemental funding applied on a formula basis on refugees resettled, which is funneled through the state. So, how much does a refugee cost? Long story short, studies I’ve seen that quantify the cost/benefit of refugees show a net positive after a several years. These are not selected studies of communities with skilled refugees, but the same type of mixes Massachusetts receives. Notably, the costs are mostly paid for by states and federal government, while local governments and states reap most of the benefits. A 1997 paper by a University of Richmond professor made an effort to estimate the direct cost of providing social services, and came up with $9,000 ($14,000 in 2014 dollars) with costs going down as the families become self-sufficient. He estimated state bore 22% of these costs. However, circumstances vary so much by individual, and so much has changed since 1995, I do not know if that number is useful beyond an order-of-magnitude estimate. A more recent 2000 paper by a Hamilton College researcher estimated a local cost of $4,413 ($6,111 in 2014 dollars) for the first year of refugee households in Utica. This is nearly double the $3,080 estimated in 1997, but includes education and counts households, not individuals, unlike the 1997 study. Finally, a 2013 paper considering state/local costs of healthcare and education in Tennessee estimated an average education cost of $1,692 per individual refugee in 2012 ($1,747 in 2014 dollars). It is at least clear that refugees do have long-term healthcare and social service costs, and hosting states may pay several thousand dollars per refugee on average, at least for their first year. The federal government shoulders the rest. The 2013 paper also estimated the amount of taxes refugees and businesses they owned paid: it was slightly more than the amount they “cost” in health and education services. The 2000 paper created a cost/benefit model that used real data and assumptions to estimate that a refugee cohort in Utica, NY becomes an annual local net fiscal positive after six years and that their program that admits 750 individuals a year essentially pays for itself in increased tax revenue by year 23. I was worried that research for the post would show that refugees were a net fiscal drain. I thought that we should welcome refugees simply because they need help and we are able, and I thought that they bring an unquantifiable, diverse vitality that sets the United States apart from many other nations, but I never thought that it’s a good idea because it generates additional tax revenue. I was pleasantly surprised when I found that refugees are a long-term net fiscal positive for communities. However, these studies focused on tax revenue for communities, not the impacts on existing families in the community. What limited research I could find on broader impacts on employment suggests refugees follow the same pattern as other immigrants: the increased activity their spending and businesses create more than offset the jobs they “take.” This is especially pronounced in areas that would otherwise be shrinking in population. Notably, research on refugee economic impact is actually difficult to tease out: many studies focus on economic/familial immigrants rather than refugees. Those focusing on refugees often examine the places where refugees are most prevalent: developing host nations such as Jordan. Even those granted asylum in the US have different economic characteristics than refugees resettled from elsewhere. There is no evidence of economically significant reductions in native employment. Most empirical analysis of the United States and other countries finds that a 10 percent increase in the fraction of immigrants in the population reduces native wages by at most 1 percent. A more recent 2003 study finds a larger wage depression among low-skilled workers: between .4 and 7.4%. However, that may be offset by other groups’ wages increasing by up to 10% as they see larger customer bases and can delegate low-skilled tasks more effectively. Immigration helps the overall economy, but might create problems for certain people at the lowest rungs. However, the research on a national level does not suggest whether there are effects on individual communities that receive immigrants. In fact, research from UC Davis shows that in the long run, the greatest positive effect—an increase in output and wage per average worker—happens where the most immigration is taking place. Are refugees similar to other immigrants? One can imagine many ways the groups are different. Economic/familial immigrants choose to come to the US, while violence or persecution force refugees out of their countries. Refugees may have more trauma and may have spent years in camps. However, some may actually be very educated and skilled. Iraqi refugees, for example, include doctors and engineers. To begin with, refugees do find employment in their host communities. In its 2012 annual report, the Office of Refugee Resettlement found that refugees arriving 2007-2012 had an unemployment rate of 16%, double that of the US’s rate of 8%. However, those who arrived in 2007 had only a 12% unemployment rate and in fact had a higher labor force participation rate (74% vs. 63%) than the US as a whole. Far from being a burden, a larger proportion of refugees who have had a few years to acculturate are employed than the US as a whole. In some years, the employment rate of all refugees was similar to that of the US population, but a large gap developed after the 2007-08 recession. In fact, research bears out the idea that refugees start behind other immigrants, but make greater gains over time. A 2004 study at Princeton University found that refugees in a cohort of immigrants that arrived in 1975-1980 (at that time, mainly southeast Asians) earned 6% less than other immigrants in the cohort in 1980, but in 1990 they earned 20% more that others in the cohort. This translates to positive impacts on hosting economies. In 2012, Chmura Economics & Analytics studied the impact of refugees on their host economies for Refugee Services Collaborative of Greater Cleveland. It found a study showing a 1.5 multiplier of Afghan refugees in Young, Australia partly because they offset a native population decline. It also cited a Lewin Group study of refugees in Houston, Miami, and Sacramento, and found that 30 to 38% of refugee households owned a home, increasing the neighborhood stability in those communities. The Chmura researchers used a computer model to estimate the direct and indirect impact of refugee spending in the Cleveland area and the increased economic activity attributable to refugee-owned businesses. It estimated that the economic impact of refugees in Greater Cleveland was $48 million or the support of 650 jobs in 2012. It’s not a bad return on $6.4 million, presuming Ohio spends roughly the same amount per refugee locally as Tennessee. This is a lot of information and a lot of assumptions that Lowell might behave similarly to other similar places, but it seems that there’s more research pointing toward immigrants helping overall economies on the local level than not. However, there is not a lot of consensus on whether low-skilled immigrants depress wages for other low-skilled workers. If we are concerned the benefits of immigration disproportionately are given to higher-skilled workers and leave lower-skilled workers behind, I might suggest crafting policy based on reducing inequity. Researchers contest the effects of immigration, and refugees aren’t well studied, as they are only a tiny subset of immigrants. However, even when you ignore all the immaterial benefits refugees bring such as vitality, offsetting population loss, and a greater diversity of cultural offerings, it is clear that refugees aren’t simply a cost or burden on struggling economies. Rather, they get jobs, pay taxes, start businesses, and offset the costs of early assistance: with one study saying that starts after refugees pay for all the local costs of resettlement after only a couple of decades. Aurora and I hope to dive in with more research on this issue. We’re going to visit the International Institute, talk to a refugee family, and compare Lowell’s refugees to other cities. We hope to discuss all the unquantifiable benefits (and possibly costs) in these posts, but most importantly, try to understand the men, women, and children that we’re hosting. Regardless, I’ve definitely come to believe the price we pay for supporting newcomers isn’t just a burden; it’s an investment for Lowell.